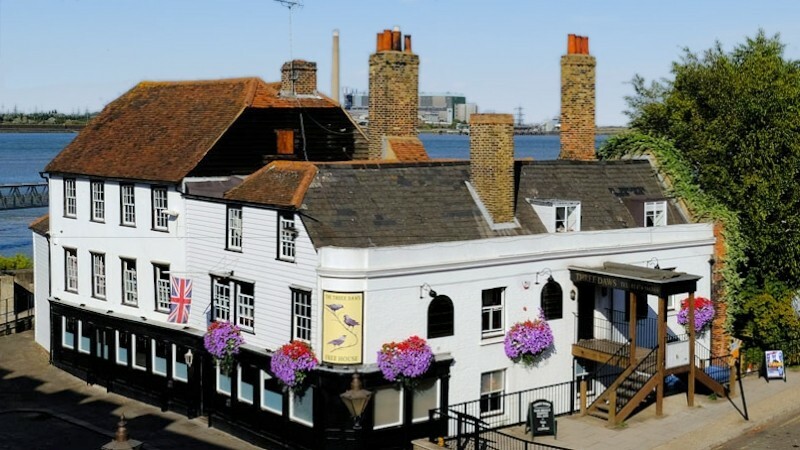 Three Daws Riverside Inn in Gravesend is an historic riverside inn dating back to the 1400’s steeped with tales of smugglers, Press Gangs, hauntings and much more, and yet today it remains a focus of activity. From Wedding Receptions, Disco’s, Parties, live bands through to Barbeques, Cocktail evenings, Quiz nights and the simple meeting of people gathering for a quiet meal or drink. Our menu uses ingredients sourced from local Kent businesses wherever possible.